Delivering awesome Drupal websites since 2008. One experience delivered to every platform. 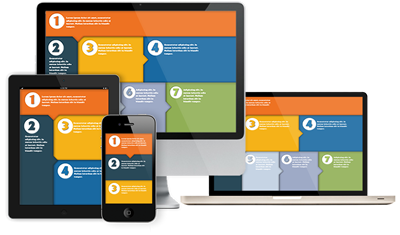 Integration of responsive & mobile to future-proof your site. Our specialty is to make the process seem simple and effortless. Let us help you navigate the complex world of technology. We think of websites as business solutions, and we measure our success by the commercial success of your site. We adopt your projects as our own, and pour our considerable resources and expertise into your goals and deadlines. Avenue Web Media is a full-service web solutions agency. From web development to online marketing, we build digital experiences for clients who are serious about their business. Our clients range from single person startups to Fortune 500 companies. Our projects range from small corporate websites to massive e-commerce and education portals. Our team specializes in using cutting-edge software solutions, superb skills and a ton of experience to solve complex requirements. Learn more about AWM. We run a tailored marketing campaign to increase your online presence.